We are back bringing you another special event you wont want to miss! 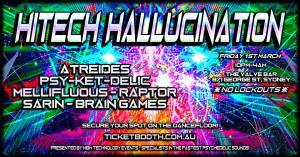 Full of crazy and fast out of this world psychedelic high technology sounds from the future, Complemented by a special production installation of Sound, Lighting, Lasers, Visuals & Decor. 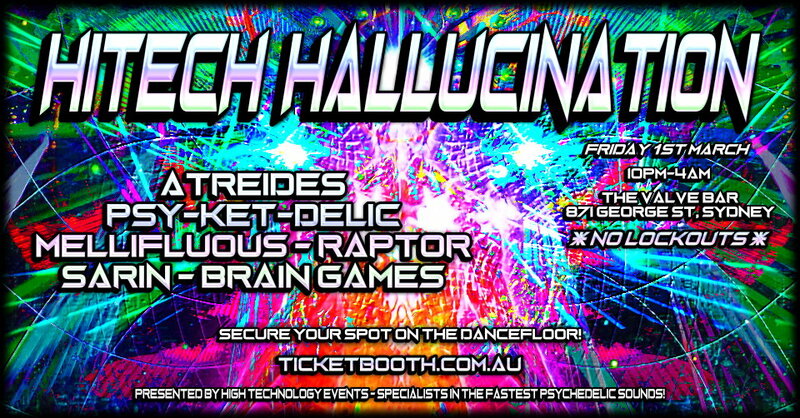 $10 Dollar online tickets on sale now - Secure your spot on the dance floor! 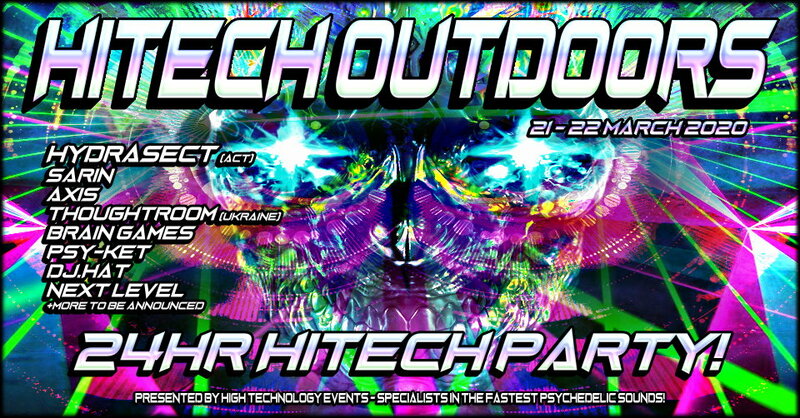 © 2019 Ticketbooth on behalf of High Technology Events. All sales are final. Tickets are non-refundable.